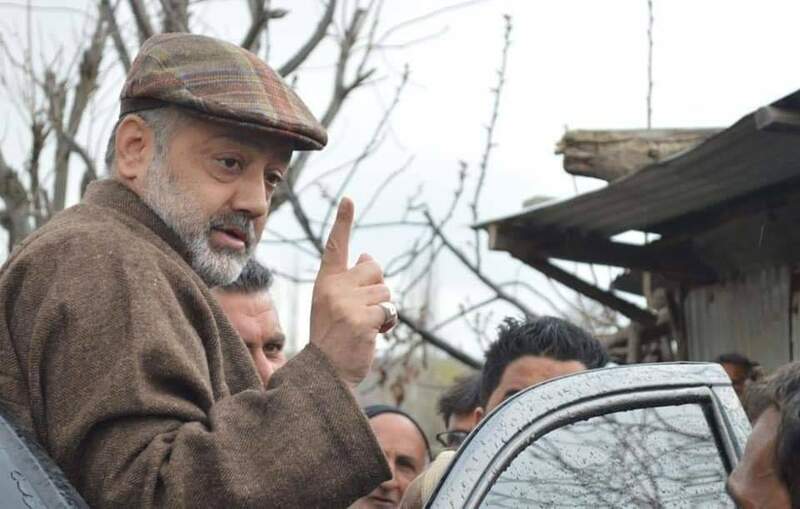 SRINAGAR: Peoples Conference Chairman Sajad Gani Lone on Saturday said that Omar Abdullah seems to have suddenly discovered a sense of humor or has lost touch with the ground. Have they forgotten how NC workers would issue statements in newspapers distancing themselves from the NC? In the aftermath of 1987 robbery of elections leading up to the revolt of 1989, the top NC leadership fled and while we were all facing brutalities, being jailed, killed, beaten up, Farooq sahib and the future tormentor of Kashmiris Omar Abdullah spent most of the time in Europe and Delhi. These special tourists were thrust yet again on Kashmiris in 1996 when yet another entire election was stolen to hand power on platter. I ask the people of Kashmir. “Just imagine the difference in ages. While Farooq sahib is marching towards mid eighties, young Junaid is barely in mid thirties. Does it behoove Farooq sahib to say that insects will eat him up in his grave, does it behoove him to say that he has forgotten the grave. It is Farooq Sahib who has all along forgotten the grave. Rather than fighting the elections he should have settled with a prayer mat. And instead he has the temerity to say such things about a young person, blooming in his youth. We really are not surprised given the thousands of youth who have perished at your hands. We still have an unsolicited piece of advice. Take to the prayer mat, if you have one given that it will take hundreds of years for you to atone your sins”, he added.